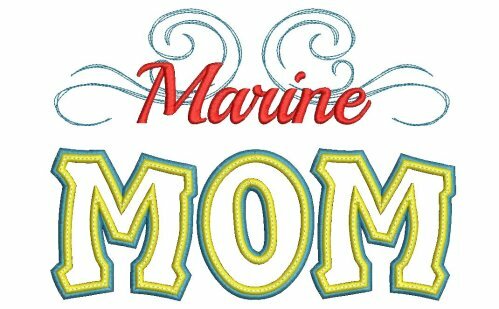 Marine Mom Applique - 4 Sizes - $4.99 : Fancy Fonts Embroidery, Home of the ORIGINAL Trendy Dots Font! Perfect for t-shirts, sweatshirts, jackets, bags and more! 4 sizes for the 5x7, 6x10, 9x9 and 9x12 hoops!